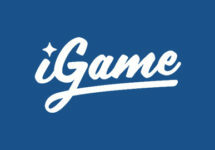 iGame Casino – Live Blackjack Challenge! Play for extra cash rewards! Win up to €3,500 in cash! Life is all about the challenge, proving the odds are wrong. The tougher it is the bigger the adrenaline rush when you finally crush it. Here’s a new one for Live Casino enthusiasts, the Blackjack Challenge where they are called to complete five demanding daily milestones and if they succeed every day of the campaign, they will be rewarded with €3,500 in cash. Can you stare down the dealer and crush the odds? 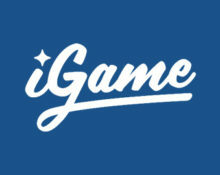 Thrilling campaign for all Live Blackjack enthusiasts running this week at iGame Casino. Sit down at any Live Blackjack tables from Evolution Gaming and complete five daily challenges to win up to €500 in cash, every day until 16th September 2018. Terms and conditions apply. Play on the eligible tables with minimum €5 cash bets or currency equivalent to qualify for the promotion. Bet-Behind bets with the same bet minimums are valid for the campaign. Every player can complete one to five challenges per day to collect an increasing cash reward. Eligible players will receive their rewards every day in cash as following: 2 missions completed – €25 | 3 missions completed – €50 | 4 missions completed – €100 | 5 missions completed – €500, credited without wagering requirements within 72 hours after the qualifying day.